The Instruction Manual is a 24 page high gloss black and white reference which is 5 1/2" x 8 1/2". It contains general description information on the American 180, including: assembly, disassembly; function and operation; malfunction, stoppages and immediate action; and care and cleaning. 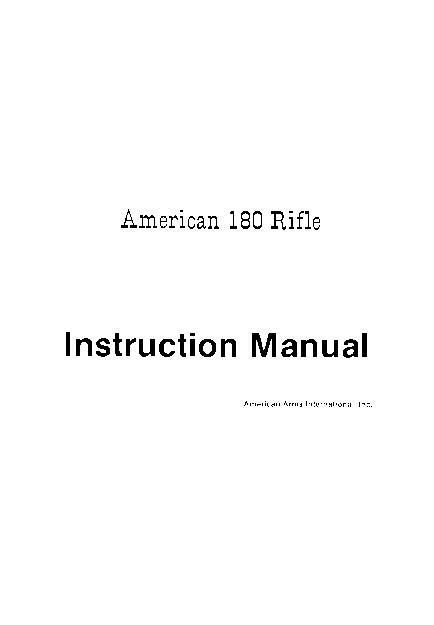 The Instruction Manual is a must have companion to the American 180 submachine gun.